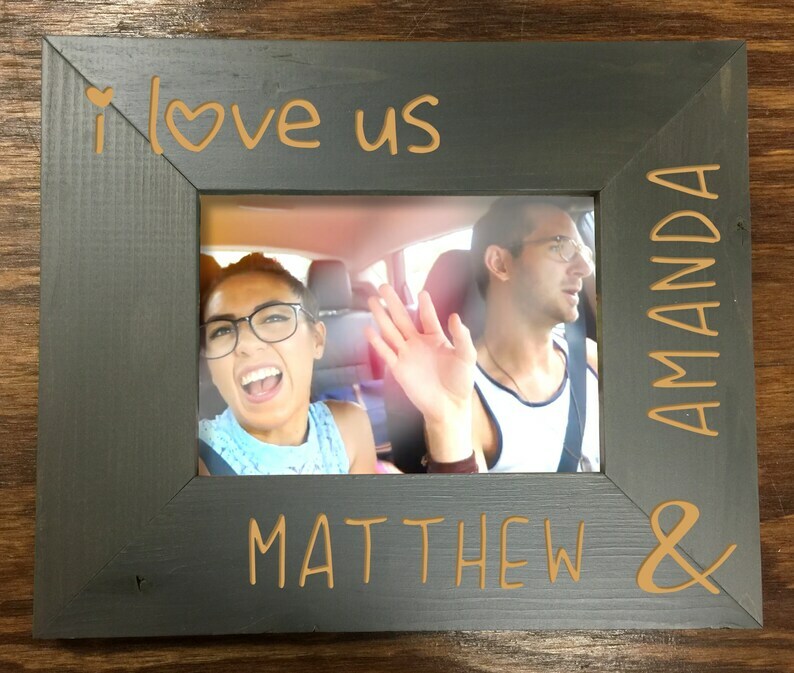 This laser engraved Picture Frame is great gift for a couple. It's great because it doesn't have to be for any special occasion. 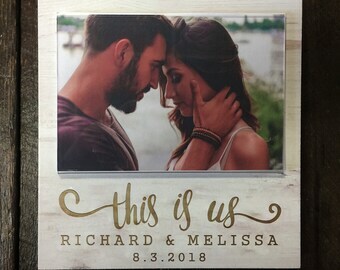 This is a distressed grey wood 5x7 frame. During checkout, please put in the "note" section the names that you would like to be engraved.